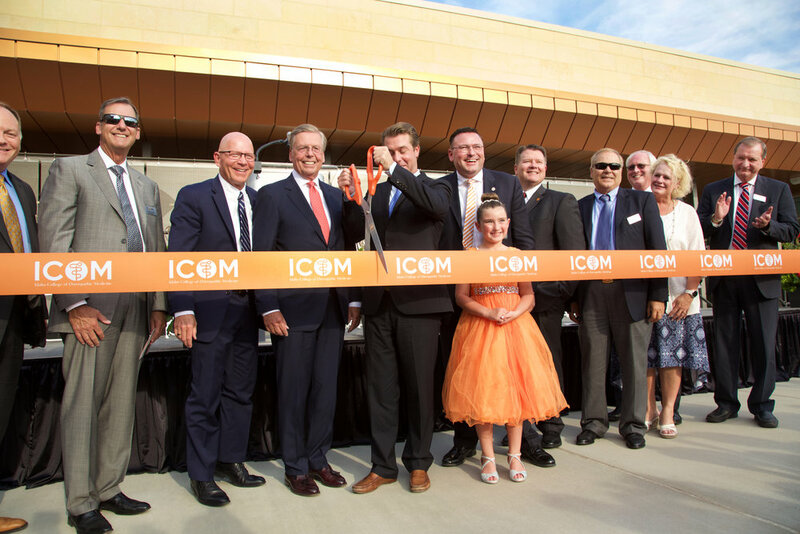 Located in Meridian, Idaho, the three-story, 94,000-square-foot facility cost $34 million, and took Engineered Structures, Inc. (ESI) just thirteen months to build. Dekker/Perich/Sabatini, a New Mexico-based architecture firm, did the design. The facility houses more than 12,000 feet of classroom space, including: two lecture halls, each with 250 seats; a state-of-the-art clinical simulation center; a 3,5000-square-foot medical library; and a 3,479-square-foot Osteopathic Manipulative Medicine (OMM) Lab. Additionally, 12 Objective Structured Clinical Examination (OSCE) rooms will be located on the second floor — the largest OSCE suite in the State of Idaho. The Idaho College of Osteopathic Medicine was the vision of Daniel Burrell, JD, founder and trustee of the school. The region’s chronic deficiency in physicians and residency programs, he says, motivated him to take a leap of faith by developing an osteopathic medical school.